Investment stewards wear many professional hats. And while they may spend the least amount of their working life on retirement plan issues, their fiduciary role for the plan poses a significant amount of personal risk in the corporate arena.  To address this void, Retirement Benefits Group has developed a fiduciary support program that seeks to help reduce liabilities for plan management through independent guidance and monitoring. Monitor service providers according to the new global benchmarks of fiduciary excellence.